Assert your styling savvy by putting together a tan blazer and blue flare jeans for a casual ensemble. Black leather ankle boots are exactly the right choice here to get you noticed. 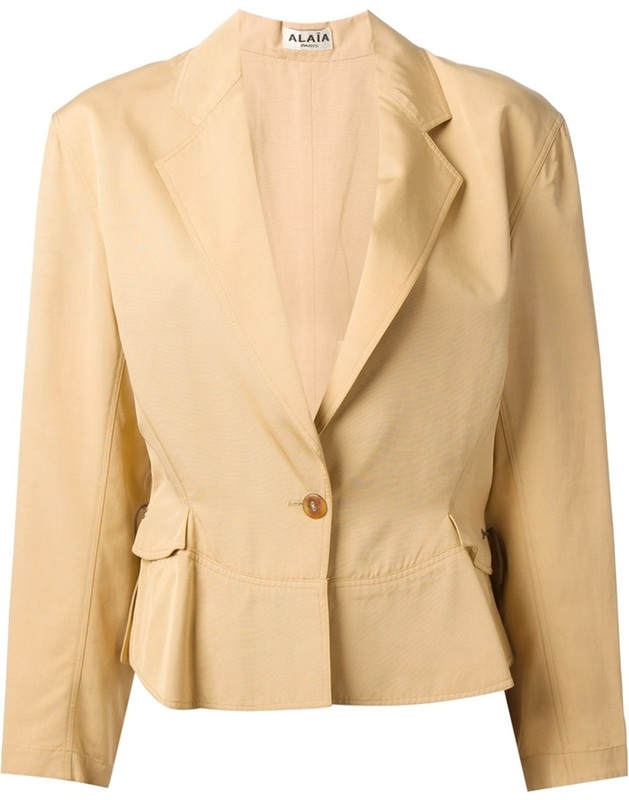 Go for a straightforward yet cool and relaxed option by marrying a tan blazer and white capri pants. Add white leather high top sneakers to the mix to make a sober ensemble feel suddenly edgier. If you're on a mission for a casual yet stylish ensemble, consider teaming an Alaia alaa vintage drawstring blazer with khaki dress pants. Both items are totally comfy and will look fabulous paired together. When it comes to shoes, this getup is round off nicely with white leather pumps. Prove that no-one does casual quite like you do in a tan blazer and light blue ripped jeans. If you're a fan of comfort dressing when it comes to fashion, you'll love this adorable combo of a tan blazer and dark green leggings. Perk up your ensemble with tan leather pumps. An Alaia tan blazer and black leather shorts paired together are a total eye candy for fashionistas who prefer laid-back styles. Bring a different twist to your ensemble by sporting a pair of tan leather pumps. 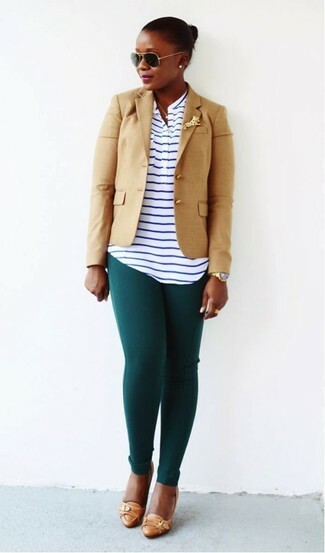 If you're on the hunt for a casual yet chic look, pair an Alaia alaa vintage drawstring blazer with olive chinos. Both items are totally comfy and will look fabulous paired together. Sporting a pair of tan leather pumps is a simple way to add some flair to your getup. This casual pairing of an Alaia tan blazer and dark brown jeans is ideal when you need to look chic but have no extra time. Throw a pair of dark brown suede pumps in the mix to completely change up the ensemble. Why not wear an Alaia tan blazer and navy plaid skinny pants? As well as very practical, both items look stunning teamed together. A pair of black leather pumps will be the ideal companion for this outfit.